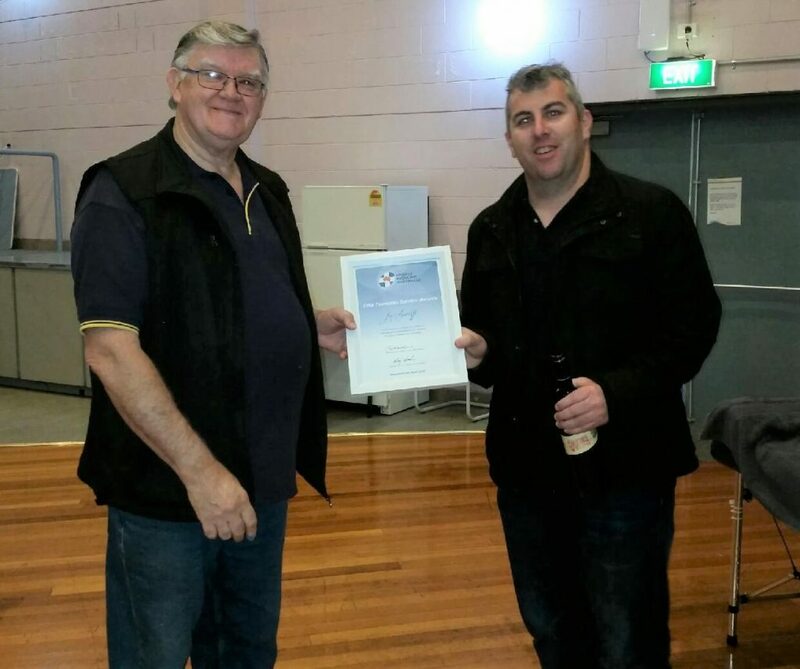 At the recent Tasmania Trainers’ Conference, long-time Sports Medicine Australia (SMA) member, Joe Ratcliffe, was recognised with an SMA Service Award in recognition of over 30 years of service and dedication to SMA. Joe’s involvement with SMA spans back to 1986 where he undertook the Level 1 Sports Trainer course, which in those days, was a 29-hour course. To attend the course, which was held Monday evenings, Joe would leave work early each Monday to take the long drive from Launceston to Hobart where the course was held. Since completing his Level 1 Sports Trainer over 32 years ago, Joe has worked tirelessly to support sport in Tasmania. For the past 20 years, he has been a lecturer for SMA TAS, delivering numerous Sports Trainer, First Aid and First Responder courses. Joe also provides advice, support and mentorship to new SMA trainers and presenters. Aside from being an invaluable member of SMA, Joe has generously given his time volunteering in various other parts of the Tasmanian sports community, including being an active sports trainer for St Patrick’s College Football and Athletics competitions since the late 80’s. Without Joe’s dedication and commitment to providing first aid and delivering on SMA’s Safer Sport Program, many local sporting events and competitions would not have been able to run as successfully as they have.